Belt Conveyors are used to transport materials from one point to another, perhaps through a wall, to a higher point or to a lower point. The majority of conveyors are rubber belted but for more arduous environments they can also be manufactured from steel. Roller conveyors are utilised in clean applications such as completed bales from a Baler. 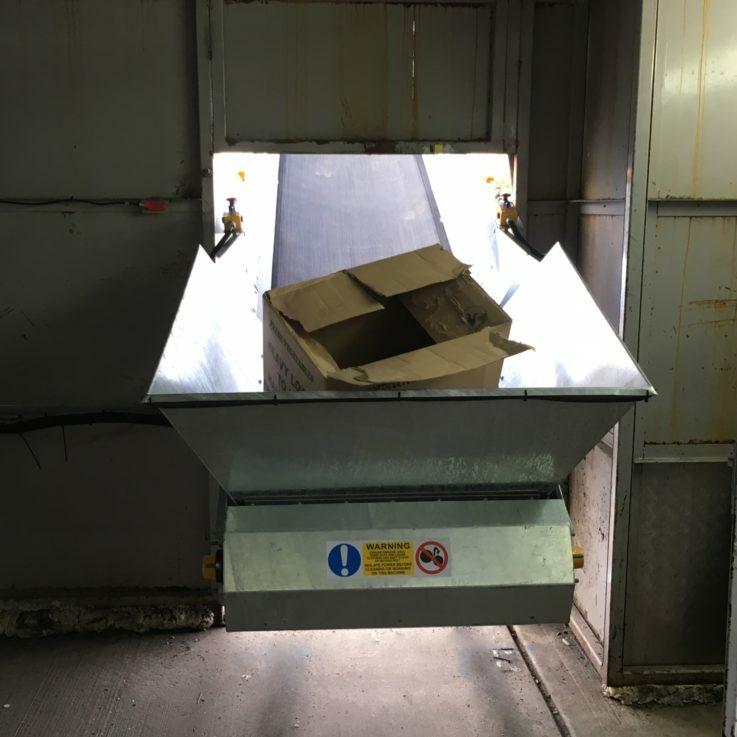 Conveyors are used with Balers to transport materials from ground level (As well as above ground and In-Floor) into the Baler on a continuous basis. Conveyors vary in widths, lengths and belt speed depending on the type of material being transported, the quantity and how high it has to discharge. Conveyors are also used to transport Products from the output of a process such as an Industrial Shredder.